The polenta in this dish makes it seem so luxurious and yet there is only one teaspoon of butter in the whole pot. Both the shrimp and broccoli take the same amount of time to cook. The shrimp is quickly seared and the broccoli is cooked with just the water clinging to it and a little butter. A quick and delicious dinner. 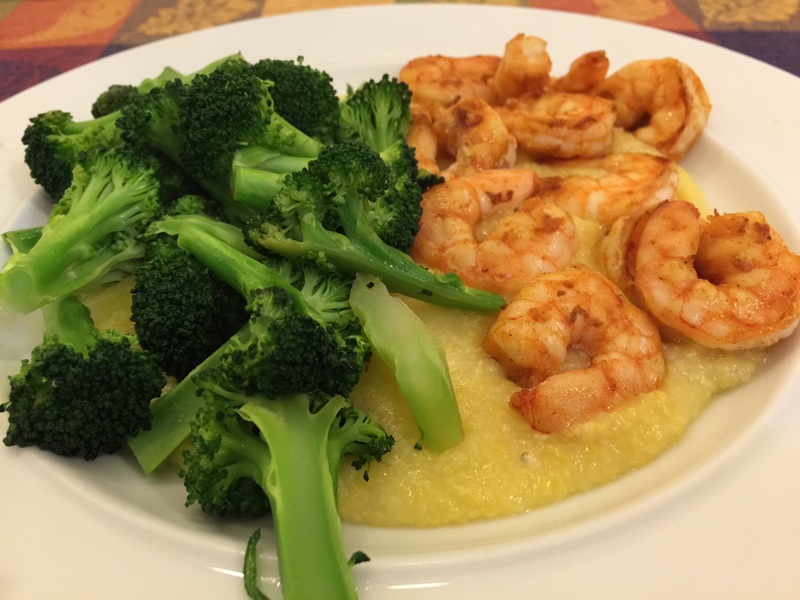 This entry was posted in Shellfish and tagged broccoli, polenta, shrimp creole. Bookmark the permalink.